Hi there, my darlings! What a couple of days I've had! Somehow, allll my photos went missing from my last, nearly 300 posts so you can imagine my state! Let's just say panic attack is a mild way of putting it! Anyways, I've managed to restore 90% of the blog so we should be back in business! Phew! For today's post, I'd like to show you a product that I was quite excited to try but unfortunately didn't really live up to my hyped-up expectations. Whomp. 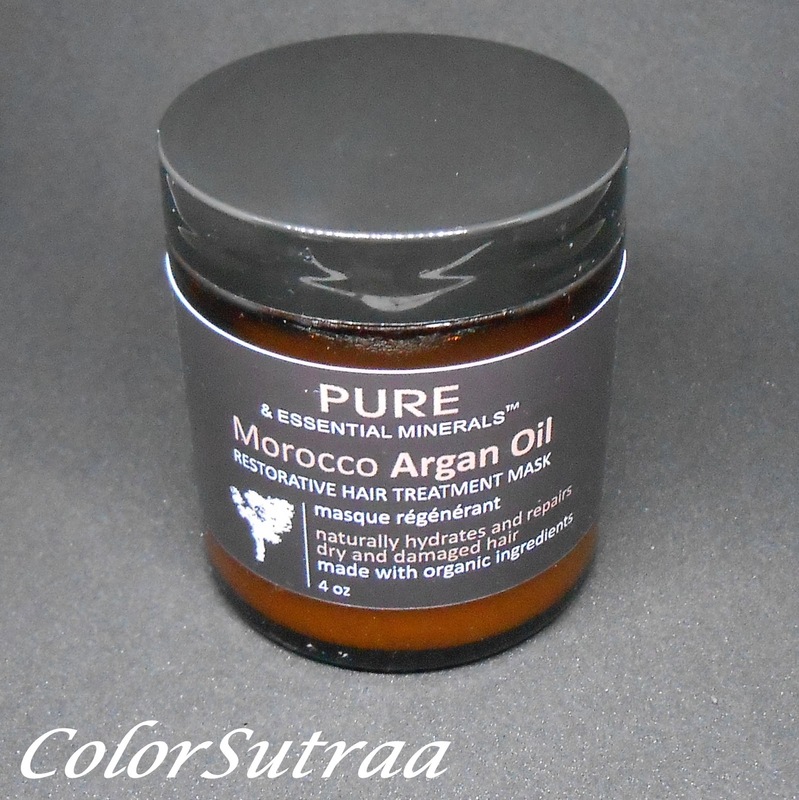 I'm talking about Pure & Essential Minerals Organic Morocco Argan Oil Hair Mask. I came across this product through one of my blogger networks and, because of the hype surrounding Argan oil and its many benefits, I was incredibly excited to try it. USE : As directed, I used this product after my regular, voluminizing shampoo--after rinsing off the shampoo, I applied the mask root to tip and allowed it to sit for about 5-7 minutes, the lower end of the 5-15 minute prescribed time. Then, I washed my hair well with lukewarm water, towel-dried, ran my wet brush through it and allowed my hair to air-dry overnight. I have only used this product once. IMPRESSIONS : Unfortunately, this product wasn't a huge hit with me. Right off the bat, when I uncapped it, it gave off a bit of a stale, chemical odor--I was expecting a pleasant, mild scent or even unscented so that threw me off a little. After application, when I went to wash it off, it took an inordinately long time to wash my hair clean and still it felt like there was a little bit of greasy residue left. 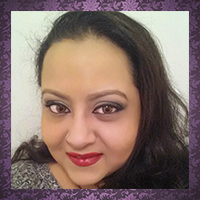 Finally, my hair just did not dry--I let it loose to air-dry overnight and in the morning, my hair was still damp. In fact, I came home with my hair still feeling slightly damp and almost as if there was still residue in it--a sticky sort of feel. On a positive note, my hair did feel very soft and well-hydrated. In conclusion, I'm not very impressed with this product--I believe that it's best suited for really dry, damaged hair. If your hair is not very brittle, my advice is to skip this mask. So there you have it, my darlings! 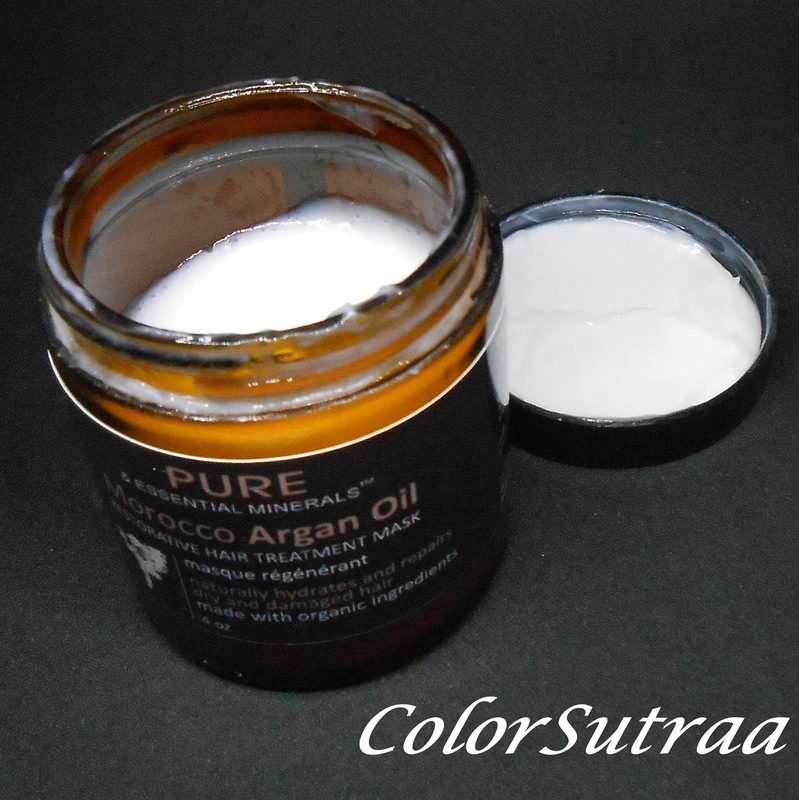 If you would like to pick up Pure & Essentials Morocco Argan Oil Hair Mask and think it may work better for your individual hair needs, you can find it on Amazon HERE for the price of $15.99 for a full-size, 4 oz tub. Have you tried a similar product? How do you feel about it? Do you find hair masks beneficial? I'd love to hear your opinions in the comments section below!